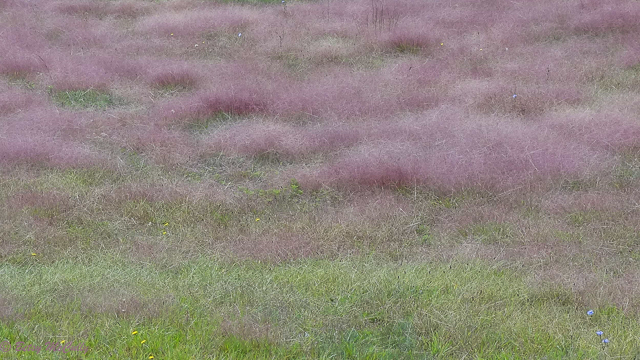 Purple love grass (Eragrostis spectabilis). Poaceae family. Native. Roadsides, waste places, sandy fields. Widespread on Long Island and upstate. East Hampton, Long Island, 2018.